A few weeks ago I was so lucky as to get some of this soapy deliciousness in the mail. I was so excited to receive this soap from Rachael's Homemade Natural Soap. It even comes all sweetly wrapped. I couldn't wait to give it a try. Let me just say, it was glorious! I almost forgot that I was needed in the real world. It was totally a Calgon-take-me-away type experience in my shower...EXCEPT it smelled way lovelier. Rachael sent me two of her soaps. Her top selling soap, the peppermint and her favorite citrus and sage. Can I just say DE-lightful. The smell is intoxicating. The soap is light and my skins feels so fresh after using it. I chose to use one of the soaps on my face to see if it was gentle enough. Was it ever. Her soap gently cleaned my face and did not dry out my skin. The great thing is that it was still strong enough to take off my stubborn mascara. My skin felt ab.so.lute.ly fabulous. I had never tried homemade soap before, don't judge me. I am sold. It was such a great treat for my skin, and I know I have said it before, but the smell of this soap was out of this world! Rachael's shop is filled with even more wondrous goodies. AND this is only some of the stuff in her shop. I bet you want it all don't you? ME TOO! Well guess what? Yup, that is right, you have a shot at winning yourself something delightful from her shop. Rachael is generously offering to give aways 3 bars of her homemade soap and 1 bath scrubby YOUR CHOICE. Think of all the aromatic choices! Yippee. 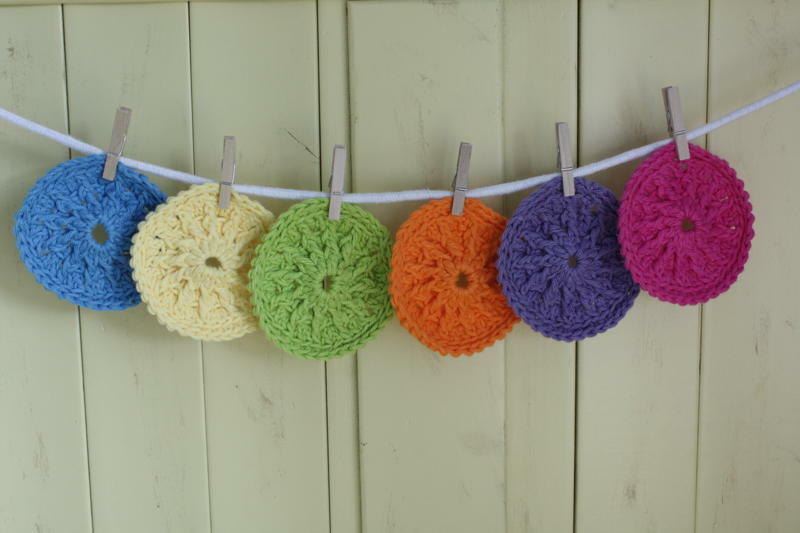 During the giveaway she is also offering to all Just Another Day in Paradise friends/followers 2 free bath scrubbies with every order purchased...you pick the colors. Go and visit and her SHOP, peak around tell me what you love. The giveaway starts today and runs through Friday, March 18th at 11:59 pm est. Good Luck everyone! I am just sayin', you REALLY want some of this soap. i love this type of soap!! I'd like to try the grapefruit and ginger one! I follow Rachel on facebook. I love her peppermint soap. I can imagine the wonderful smell of this soap in the morning. I want to try the sweetheart soap. The thing I love the most... the prices! 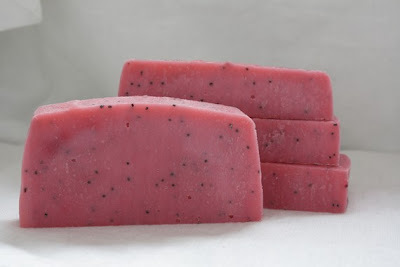 The Black Raspberry Vanilla Soap w/Poppyseeds looks good enough to eat! Beautiful! I would love to try it! Follow Just Another Day in Paradise! The grapefruit one sounds so refreshing! 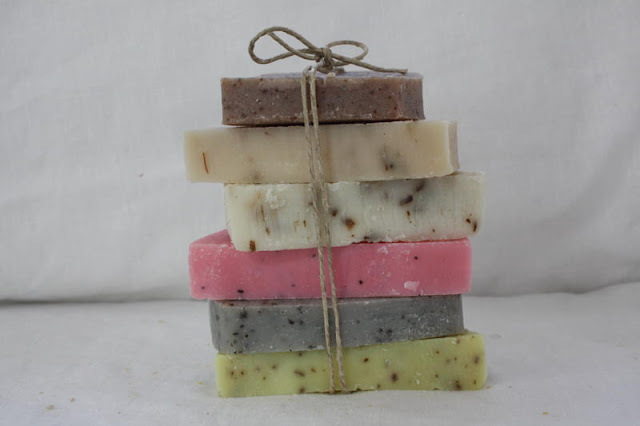 Love the colors and shapes of the soap...not just a plain old bar. Love the lotion dispenser...too cute. citrus and sage sounds divine. Yum! I have never tried homemade soap but would love to. The peppermint kind looks great. I also like the soap/lotion dispenser. I liked Rachael on FB! How about 1 of everything? I could only narrow it down to 4 soaps, vanilla orange, black raspberry vanilla, honey almond oatmeal, and the sweetheart. 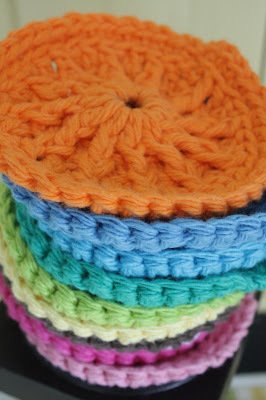 I like all the ruffled dishcloths, especially the weathered rose. The black raspberry vanilla soap look amazing! Oh, I think I have to have it. And I'm a follower of Just Another Day in Paradise! Her soap looks amazing! I'd really like to try the spiced pear soap! I'm following Rachel on FB. I'm a follower of yours already...Thanks! I love homemade soap. I am also crushing on the black and white gingham trimmed gloves! There are so many fabulous things in her store. 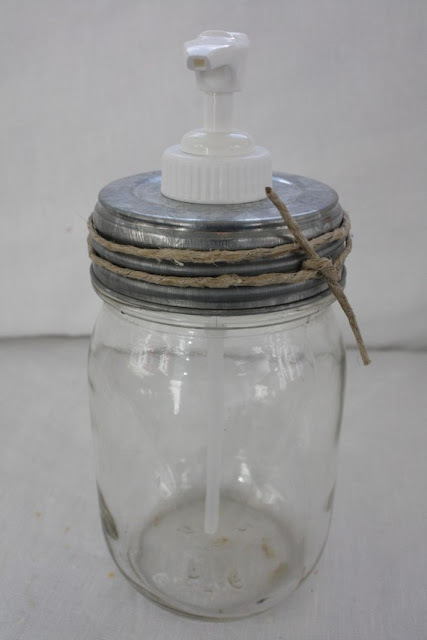 I especially love the Rustic Soap or Lotion Dispenser with Zinc Lid & Clear Mason Jar. I am a follower of Just Another Day in Paradise. 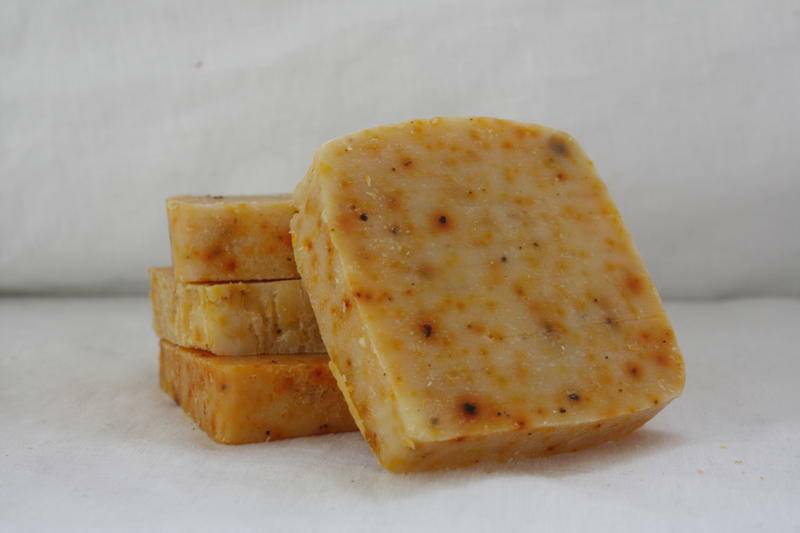 CRANBERRY ORANGE SOAP!!!! I need some of that!!! and I just became a follower. Um, yes, I really do! I'd love to try the Honey Almond Oatmeal or the Grapefruit Ginger soaps! I would love the cocunut lemongrass soap! I am a follower of Just Another Day in Paradise! 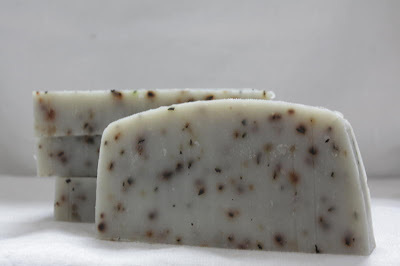 I love the Cucmber Melon Soap w/Green Sea Clay. I want to try the black raspberry vanilla! It sounds like it smells divine!! I think the Cranberry Orange Soap sounds good. I am a fan on Rachael's facebook page - emillie rose. I am a follower of Just Another Day in Paradise - gfc - emillie. I love the lemon and warm vanilla sugar soaps. I also think the bath scrubbies are great. I follow Rachel's Homemade on FB. i'd love the peppermint soap to help with my cold! everything looks fantastic. I would like to try the orange-cranberry and the face soap. ohhh I love the scrubbies!! And the vanilla orange soap sounds yummy!!! I would be hard pressed to choose between wake up peppermint and vanilla orange. I love the oil cloth gloves. Too cute. Love your blog. 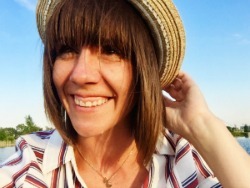 Just became a follower of your blog. And following Rachel on FB. Who is Gonna Smell D-vine? In a Nutshell: Orange You Excited for Spring?